Sponsored by The Boeing Company and co-presented with Seattle International Film Festival, at the Egyptian Theatre! 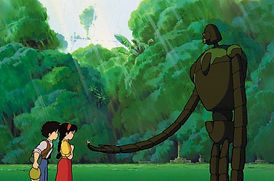 Come as your favorite character from any Miyazaki film, and compete in a costume contest with special prizes! From the legendary Studio Ghibli and director Hayao Miyazaki, a rollicking adventure about a young girl with a mysterious crystal pendant who falls from the sky. The English-dubbed vocal cast includes Anna Paquin, Cloris Leachman, Mark Hamill and Mandy Patinkin. Click here to see full description on our features page! 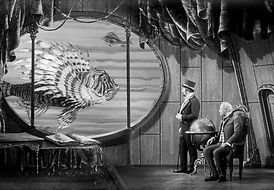 Inspired by the novels of Jules Verne, this newly restored gem by renowned Czech animator and designer, Karel Zeman, predates the steampunk craze by decades. Will a maniacal mogul succeed in destroying the world with a diabolical machine? Live action combines with innovative and quirky animated imagery based on Victorian steel engravings. The digital restoration of the film “Invention for Destruction” is a part of the project “Restoring The World of Fantasy”. Click here to see full description on our features page! Includes breakfast, free four-hour parking in the church lot, and a full film program at 10:30 or 11:00 am! Dance along to down-home music by the John Browne Band! Our all-you-can-eat breakfast of fluffy homemade pancakes and sizzling bacon is fun for the whole family! And of course we’ll have gallons of hot coffee on hand for the grown-ups. After breakfast, come to Northwest Film Forum for a special screening of INTO THE MAGIC, a magical program of new animation from nine countries. Special ticket pricing: $15 general admission/$55 per family of four. Please note you must choose a screening time in advance when purchasing Pancake Breakfast tickets. We close out the 2018 festival by screening films made in our workshops, announcing the winners of our Children’s Jury prizes, and celebrating with a surprise selection of outstanding short films made by international filmmakers.